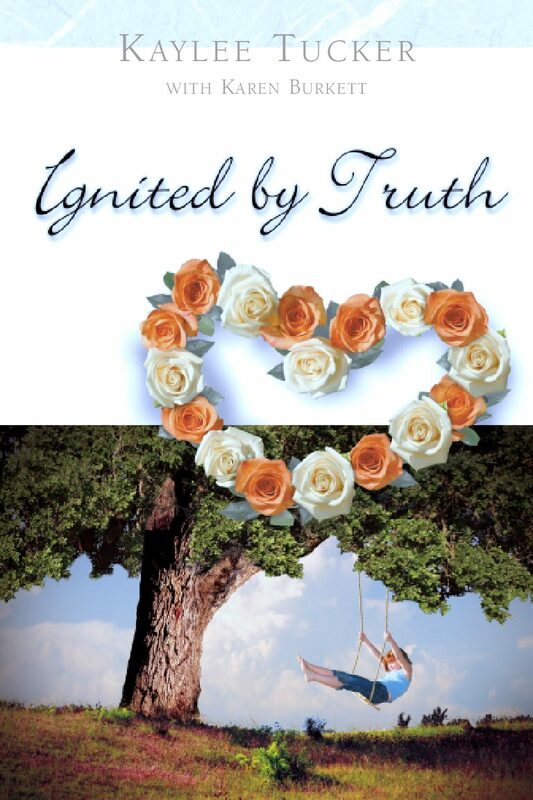 In her book “Ignited by Truth“, Kaylee speaks from the heart as she tells of the pain of sexual abuse, domestic violence and depression and how she found joy, hope, peace and forgiveness through the darkness. I wasn’t a Christmas baby or a New Year’s baby, but somewhere in between. I was born in Los Altos, California, on December 29, 1956, the twelfth of fourteen Evans children. I have eight brothers (plus one who died at birth) and four sisters. When I was two years old we moved to a huge two-story home in Mt. View, a small California town filled with fruit and apricot orchards and old oak trees. In fact, the county was called “the valley of the hearts’ delight” because blossoms lined the streets and spread a delightful aroma for miles around. By the time I was seven, I was making frequent visits to my enchanted domain-the creek covered in oak trees behind our home. My heart fills with peaceful childhood memories every time I think about the fresh smell of oak leaves, the sound of creek water running over the smooth moss rocks, and the gentle breeze that caressed my face as I sailed over the rippling water on a knotted rope swing. I usually took one of my brothers with me. We would swing for hours. Tiring of that, we made the small climb up the dirt hill onto the narrow matted path between the creek bank and the neighbor’s back yard. I sometimes carried a six-pack of empty Coke bottles, anxious to get to the store and retrieve my ten-cent refund to buy more icy Coke. On our return home (I was always barefoot) the pavement in the parking lot was often so hot, we made a game of running on the white parking lines until we reached the cool shade of an old giant oak tree. By the time I was eight, I entered the world of commerce helping my older brother Brent with his paper route. I earned five cents an hour. After making his newspaper collections, we would both run to the creek and play for a while, then to the store for a bag brimming with Jaw Teasers, Chico Sticks and Bit-O-Honey. Sometimes instead of the candy, we’d opt for a 29-cent colorful kite. I have warm memories of the local grocery store-everyone there was so kind and made me feel welcome. Sunday mornings after attending the local Catholic church, our family trekked straight to the country store for sweet rolls, fresh juice and cold cantaloupe. (We were always hungry because as Catholics we were to fast before receiving communion.) On one such visit when I was about eight years old, I was watching my father and younger sister of five frolicking through the store when the room started spinning and then going dark. The storeowner rushed over and offered me a bright red apple. “Eat this,” he stammered. I took a few bites and felt better almost instantly. This kindness and strange cure only added to the magic of the country store. The clerks were so nice to our family-and to everyone in the community. They treated people with kindness and never hesitated to help neighbors, friends and even strangers. The country store was my home away from home. The apricot orchard growing across the street from our home added to the magic and beauty of my childhood memories. The orchard owners, our neighbors and friends, harvested the apricots each summer. For several weeks, they picked, sliced and soaked the fruit. Then they put the apricots out to dry in the sun on old wooden pallet racks resting on train rails. We loved to hang around and get a few apricot halves to munch on. Oak trees lined the creek banks in the orchard. Two of the trees, one on each end of the block, split the street, forcing traffic to veer around them. I still remember the sheltering shade and fresh scent of the oak trees. We climbed these tall old monster trees to scout out all the land and spy on anyone who might invade our territory. We loved to play hide and seek and freeze tag in the orchard, pretending that all of this was our magic castle and that the land was ours. Then disaster struck. One beautiful spring morning as the blossom aroma rose with the morning sun, the sound of chain saws filled the air. We learned that the property had sold, and the new owners were cutting down almost all the blossoming trees to make room for tract homes. We were crushed! While the contractors proceeded to create a new world with long sticks and red plastic flags, we decided to crush their efforts. For weeks we made nightly rounds, destroying as much as we could-we had to stop them from entering the gates of our imagination, our castle, our lookout towers, our domain. Our childish efforts failed, and the tract homes were built. We had wonderful neighbors. One was a creative boy named Randy, who lived at the end of the block. He offered us unique toys that he built from things around the neighborhood. One of these enchanting toys was a bicycle built for ten. Randy gathered all the bikes he could find in the neighborhood and welded them two by two, making the creation as long as possible. The prototype seated ten, but I believe it was reduced to six for speed. What great fun that was. What imagination Randy had! Then there was the Carter family. They lived behind us, facing the next street, and had a daughter a year younger than I. No one except me liked her because she picked her nose and ate it. (Such memories I have!) We visited each other every day. Instead of running all the way around the block to get to each other’s house, we decided to break out a panel in the back fence to make our own unauthorized “gate.” No one noticed our handiwork because we kept a nail in the top and just turned the wood panel back and forth to pass through. I have been blessed with wonderful friends. Natalie was my best friend from age five. An only child, she invited me to sleep over at her house almost every night. We shared dreams of singing, dancing and becoming famous. We wanted to buy a mansion with the riches we earned from our singing careers. It was to be a huge home with an east and west wing. Our mansion would have a pool, game room and a giant restaurant style kitchen because we both loved to cook. All of our family and friends would be invited to live with us forever. We had such a wonderful time with all of our friends on the block and our schoolmates. I remember Charla, Leanna, Leslie, Lynn and Simone. My parents were not affectionate. I have few memories of my mother during these early years. My dad very rarely gave me a hug or said, “I love you.” The only real affection my dad showed was when he would tell me to come over to him and then he would hold my head and rub his rough whiskers on my cheek until it burned red. On the few occasions my dad did pay attention to me, I felt more secure for the moment. I remember a time when I was very young that my hands were chapped and dry. Dad rubbed them down with Vaseline and then put my white cotton church gloves on me. By morning my chapped hands were healed. When I was sick with a cold, my dad would rub me down with Vicks VapoRub and I felt safe and warm. Then he would snuggle me up in my covers and tuck me in tight. I slept very soundly those nights. But so many other times I did not experience this kind of caring attention. Once my brother Brent and I were playing basketball and started to climb on the basketball backboard. My brother jumped off, so I followed suit and the metal angle bar drove into me, splitting my side open. My mom and dad just wrapped some torn sheet strips around my waist very tightly. No tenderness. No love expressed. The wound left a huge scar on my right side-and one on my heart. I sometimes wonder how my life would have been different if my mom or dad had been more affectionate. When I went to the Carter’s house, they would greet me with a hug and a kiss. At first, I just cringed because I was not used to being kissed or hugged. It was my neighbors who taught me to hug and say “I love you,” to say “hello” and “goodbye.” It was my neighbors who taught me how to love, laugh, cook and clean. In later years, I came to appreciate these kind people as a true blessing from God. “And now, brothers, as I close this letter, let me say this one more thing: Fix your thoughts on what is true and good and right. Think about things that are pure and lovely, and dwell on the fine, good things in others. Think about all you can praise God for and be glad about” (Philippians 4:8-9 TLB). I have a choice. I can focus on my parent’s neglect and their failure to demonstrate their love to me during these early years of my life. Or I can focus on the good, loving, caring people God placed in my life. I have chosen to focus on the good. This is God’s way. This is the way that opens the door for me to experience His peace. Dwelling on the negative can led to depression, unforgiveness and bitterness. Dwelling on the positive lifts our spirits, opens our eye to the love of Christ and fills us with peace and thanksgiving. Are you facing this choice? I urge you to “think about all you can praise God for and be glad about.” Only then can you truly know His peace. My mother died on February 14, 1964. I was eight years old. My youngest sister and I sat at the top of the stairs waiting for our dad to take us to the hospital to visit Mom. We had made Valentine cards for her and were anxious to deliver them. Dad came in and climbed to where we were at the top of the stairs. I remember thinking that he looked sick. But we were laughing, excited about the Valentines, and asked when we would be leaving for the hospital. And now it was my mom who had died. My mom’s funeral. How could this be? She had been sick for a long time-four years. Cancer, I had heard them say. But I didn’t know that meant she would die. I have very few memories of my mother. I do remember her pitch-black, unstyled hair and her snow-white complexion . . . her flip-flop thongs that she wore every day . . . her thick arms as they reached up to hang the laundry. But I don’t remember me ever being in those arms. In one memory, Mom was hanging clothes on the line to dry and left to go into the house. My brothers and I were playing on the tree near the clothesline. Suddenly, one of my brothers started to scream and told me to run and get Mom. I looked up at him and was horrified. He was hanging by his wrist on a hook at the end of the clothesline post. I screamed, “He’s dead! He’s dead!” Continuing to shout hysterically, I ran through the house looking for Mom, but couldn’t find her. Apparently she had heard my first screams from where she was in the laundry room next to the garage and was already helping my brother as I frantically searched for her. I remember my mom’s large hospital bed and wanting to climb up onto it and snuggle close to her. I especially remember her in that bed during a visit at Christmastime soon before she died. She gave me a miniature white pillow with a snowman on it and a tiny sculpted bottle of perfume inside. I saved that present for a very long time. This is really the only tender memory I have of her. My mom had left me, and I didn’t understand why. How could she do that to my sisters and brothers and me? I was angry and could not forgive her. I would never have a mom. I still do not even know what it is like to have a mother and that makes me very sad. Only through extensive counseling in later years, did I recognize this anger and what it was doing to me. The anger filled me with so much sadness, and to this day I have to fight the depression it brought. The deep pain affected my inner being and caused me to lash out in many ways for years. But then I came to know Jesus. He enveloped me in His love. He cared enough to show me that I must accept the truth about myself and the experiences that have caused so much deep pain. The fire of the Holy Spirit’s power has purified my inner life so that I now can enjoy a truthful and fulfilled life with Christ. The compassion and love of Jesus have healed me and set me free. Although I have been told that my parents did not get along in their marriage, I want to remember the good times, rather than the bad. For that reason, these love letters written from my mom to my dad are very special to me. I just arrived at the sanatorium to spend another of those so lonesome evenings. The time is now 7:15 and in 12 and ½ hours, I shall again be home in my little bed; I’ll love it! I am not at Colonial Hall tonight but am with Mrs. Seeley at her cottage. It seems that light switches hold much fascination for her–she flashes them on continually. I believe she’s a bit queer, if you know what I mean. It’s lovely out this evening; I wish I were with you and we could walk and talk together like we use to do so many moons ago. I’m all atwitter, I hope the “little lady” upstairs doesn’t get rambunctious. My grandfather’s watch says eight o’clock. Assume you are now over at the theater and the newsreel is just being shown . . . do hope the feature is good. It will tend to lessen the pangs of loneliness for “my little boy!” What shall we do tomorrow afternoon; shall we play a bit of tennis and then take a short walk? I’ll bring some sandwiches or fruit along (no candy for you). Mrs. S. has been quiet for some time; I just hope she didn’t jump out the window or anything like that. If I had known what it would be like this evening I could have brought some things along to launder and press. I have the entire downstairs to myself, a large living room, library, sunroom, kitchen and a small washroom. In the kitchen is a built-in ironing board and there’s a small lingerie iron in the closet-had I known. I don’t intend to do any reading this evening or in the morning, I’d rather not over task my eyes. I trust your hay fever isn’t causing you a good deal of discomfort. It’s now ten minutes of ten; just finished drawing the curtains together in the sunroom. I felt as though all eyes were upon me; I was given permission to lock the doors, but I’d rather leave them open, feel more at ease. I just made a strong pot of coffee, thought it would serve to keep me vigilant, I doubt if I really needed it, actually I’m afraid to go to sleep. Saturday nite I’m going to have Miss Felt, in Duplex 4. It will be much nicer. She treats me as her guest, and I’m anxious to see her fashion magazines. The stillness of the night is rather pressing. The crickets only add to the solitude. An automobile just stopped in the driveway and the radio is sending forth my theme song “Alone.” It isn’t permissible for cars to drive in at so late an hour the time is five of eleven-I wonder who it is! Do you like the new arrangement in your department better than formerly? I dare say there are girls on all sides, not that I am envious. I have you in the evenings. I am content. I know we are together in spirit if not in person. I do hope this situation won’t last indefinitely. I hate being separated like this. This letter isn’t very cheery is it? But I can’t help loving you and wanting to be with you. This is your first day away from us, and I’ve been thinking about you so much wondering how everything has turned out so far, I thought I would write! We, Taylor, Mackenzie and I, miss you already. I’m confident you will make a success of your new position and I want you to know how proud I am of you. Do you remember when we were first married, how we talked about the day when we would show everyone that you could get somewhere. I thought of all that last night when you left. By the way, you looked great in your new coat, etc . . . Taylor has been playing trains all day, and they are all headed for Ohio. You should hear him say Cincinnati! Your father sends his love and best wishes and he says he’s proud of you. He misses you too! Spend the evenings improving yourself. It’s a fine time. I’ll write you soon. It has been nearly a week now since you’ve been gone; how does it seem? Do you like your work? I know it will be a tough grind at first, because that’s the way it is with anything new, but you’ll win out. Mackenzie is sleeping; we are all fine, but it doesn’t seem like home without you. I’ll be so thrilled when the time comes for us to join you, and we have a little place of our own again. Have you had a chance to look around Norwood as yet? I would like to come down there in about a month but if you say no I will be agreeable. Taylor said I should tell you a “deer story” and also “he is a good boy.” Our baby is really walking good now. She looked so sweet today. We’ve had quite a surprise here in the home. Colonel Pearsall has announced that he is resigning here the first of May and is going to Kansas City to take over management there. Your father feels badly about it; it was such a jolt. We don’t know who is taking his place as yet. The war situation doesn’t look very good, does it? Several of Jack’s class- mates have been killed in action the last few days. I paid off the radio and silverware. I would like to get Taylor a bed but perhaps I should wait until we come down there. I noticed a bare place where my picture used to be and it made me very happy to think you wanted it. Taylor is pestering me and won’t let up so I think I will close for tonight and I will write you real soon. The mistakes are all due to him; he’s so full of mischief. I treasure these letters because they show a side of my parents’ relationship-and my mom-that I never observed. Even though their relationship apparently deteriorated in later years, it blesses me to know that the earlier years of their marriage were filled with love and happy times. 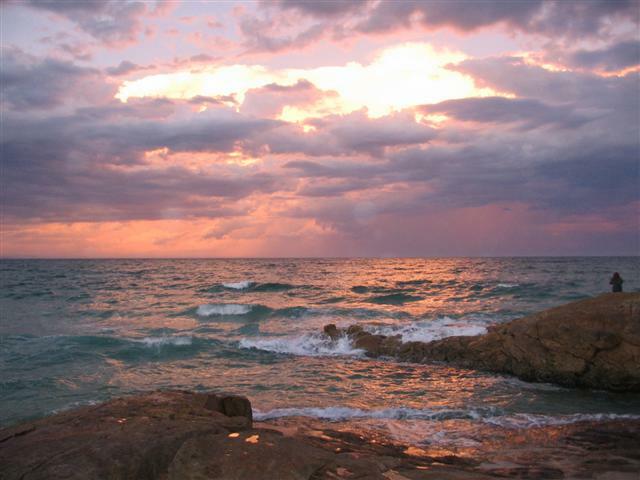 And “don’t sin by letting anger gain control over you.” Don’t let the sun go down while you are still angry, for anger gives a mighty foothold to the Devil” (Ephesians 4:26-27). “You must make allowance for each other’s faults and forgive the person who offends you. Remember, the Lord forgave you, so you must forgive others” (Colossians 3:13). I carried anger from these childhood years for a long time. Even though I didn’t recognize the anger within me for many years, it had a profound effect on my emotions, on my self-image and on my behavior. I truly believe that God wants us to walk in forgiveness because Jesus first forgave us, because He said to forgive others so that we might be forgiven and because as one of His, we are to walk in love. I know that He does not want us to walk in unforgiveness. Unforgiveness can cause sadness, depression, and spiritual, emotional and physical illness. Holding on to anger can give the devil a foothold in our lives. I urge you to ask God to reveal to you any anger and any unforgiveness that you may be harboring. With His help, release the anger and bitterness. You might be carrying the weight of unforgiveness from something that happened years ago, or something that happened just yesterday. Let it go. Ask Jesus to replace it with His love. Ask Him to heal the hurt. He did it for me, and I know He will do it for you. “No, in all these things we are more than conquerors through him who loved us. For I am convinced that neither death nor life, neither angels nor demons, neither the present nor the future, nor any powers, neither height nor depth, nor anything else in all creation, will be able to separate us from the love of God that is in Christ Jesus our Lord” (Romans 8:37-39 NIV). After my mom died, my brother Brent and I lived with my cousins, the Gibson family, in Pasadena, California, for the summer. A dedicated Catholic family with a big heart, they invited us because they wanted to help. We had a blast. What a wonderful family they were! And Aunt Marcell and Uncle Harry were the best mom and dad who ever lived. After my mom died, my brother Brent and I lived with my cousins, the Gibson family, in Pasadena, California, for the summer. A dedicated Catholic family with a big heart, they invited us because they wanted to help. We had a blast. What a wonderful family they were! And Aunt Marcell and Uncle Harry were the best mom and dad who ever lived. There was never a dull moment with sixteen children and two adults living in the house! Even though there were so many of us, each one was noticed and loved. And we prayed every night. What a change this was for Brent and me. The happy, loving atmosphere was something we’d never before experienced. Aunt Marcell was especially kind and loving. She encouraged me every day. I can still hear her saying, “Whatever you do, do it with love and you will never fail.” We each had responsibilities around the house or yard. Aunt Marcell consistently commented favorably about the work I did around the house. “Is there anything you can’t do? You have so many talents.” I was only eight years old, but those words stayed with me and helped to develop my character. The summer abounded with activities. My cousin Christopher was the object of my first crush. He had a paper route and a station wagon, and I thought he was the neatest. We went everywhere together. Another favorite cousin, Anthony, sang and played guitar. He told me to start writing my name as if I were already famous. He made quite an impression on me. I am proud of him to this day-he became a doctor at a very young age. I named my son after both of these cousins, Christopher Anthony. My cousin Caitlin organized a camp with the help of her sisters-Camp Little Hill. There were camp classes to learn about clouds and weather, chores, reading and games. What fun! Completing a chore or class earned participants a point on their scorecards. And I won! It was the end of the summer and I was leaving, but the girls told me they would mail me the grand prize. And much to my surprise, they did! A large envelope addressed to me arrived in the mail. My fingers trembling with excitement, I opened it to find a shiny 50-cent piece and a big blue ribbon attached to a handmade card. The prize was wonderful, but the greater treasure was learning about trust and love. These cousins had loved me and encouraged me-and they had kept their promise. I’d never known that kind of caring and trustworthiness. What an impression their kind act made on me. The experiences and lessons of that summer were to stay with me through the years to come. In the summer of 1978, I was eager to visit my aunt when I traveled to Santa Barbara to attend the wedding of her daughter Bernadette. When I arrived, I rushed to my aunt’s bedroom to give her a big hug and kiss. Seeing her face, I was drawn into sad memories. She looked so much like my mom when she was ill. Aunt Marcell’s cheeks were sunken and her entire body was so thin. Although no one had told me she had cancer, I knew at once that she was dying. She arose from her bed, her thin body hugged me tight, and she kissed me. In a state of shock, I left the room as quickly as I could, filled with heartbreak and anger, tears streaming down my face. Aunt Marcell had been such a blessing in my life, and now I had to say good-bye. Although she died at a young age, Aunt Marcell touched many lives during her stay on earth. Her unconditional love for others, her constant faith in Jesus, and her willingness to give of herself blessed the lives of everyone who knew her. The wonderful summer with the Gibsons came to an end. It was time for Brent and me to move on. Brent returned home; my youngest sister, Rebecca, and my other older brother Jason moved in with my mom’s brother and his wife-Uncle Larry and Aunt Ruth-who lived in La Crescenta, California. Tears streamed down my face as I waved good-bye. I had to cover my ears from Rebecca and Jason’s screams: “Don’t leave us!” I moved to Palo Alto, California, to live with my oldest sister, Mackenzie, her husband, Hayden, and their daughter, Peyton. Mackenzie is always ready to help and is kind to everyone. Every girl in my family including my daughter lived with her at some time. God blessed me with a normal childhood that year. Mackenzie and Hayden took such good care of me. I went to school every day and continued the lessons of responsibility the Gibsons had started. I even learned how to cook and bake. Mackenzie and Hayden gave me a lot of positive reinforcement. When I achieved a perfect attendance record at school, they made me a ribbon award and bought me a sleeping bag. I thought that sleeping bag was the greatest gift I had ever received. During the year with Mackenzie, I started reading and thoroughly enjoyed this new escape from reality. I read my first book when I was in the fifth grade. The stories I read and the thrill of having a real family inspired me to begin writing poems and song lyrics, all the while dreaming about my future. That was such a wonderful year. “It is far better not to say you’ll do something than to say you will and then not do it” (Ecclesiastes 5:5 TLB). One thing I learned during summer with the Gibsons was to keep my promises. When my cousins followed through on their promise and sent me a prize, I thought about how good that made me feel. I determined in my heart to always follow through on whatever I promise to do for someone. To this day, I am committed to keeping my word. We shouldn’t give our word lightly or carelessly. Sometimes when people are pressing us for a commitment or promise, it is tempting to agree to their request just to keep them quiet. As Christians we need to seriously and prayerfully consider our commitments and promises-and then follow through. If we don’t, we hurt or disappoint people who are counting on us. We betray their trust and give a poor testimony. And, most important of all, we fail our Lord. “Some people make cutting remarks, but the words of the wise bring healing” (Proverbs 12:18). Aunt Marcell often said, “Whatever you do, do it with love and you will never fail.” And then she loved us through everything she did-with her praises, with her actions, with her support, and even by teaching us a sense of responsibility. Her kind supportive words made me feel good about myself. In later years, I would try to remembering her words of love whenever I was being attacked by negative, accusing voices that declared I could never do anything right. Today I am a grandma (Nana) and every time I call my granddaughters on the phone, I tell them how much I love them and that they are my beautiful special princesses. I truly believe that these few words will have an affect on their feminine personality and self-image. Kind, supportive words spoken to a child can affect that child for life, building a strong self-image and developing character. On the other hand, negative words (“Why can’t you ever do anything right?”) can damage a child for life. The same is true of adults. The tongue is such a powerful tool. With words, we can cut and discourage and hurt those around us. Or we can encourage, and build up and heal. It’s our choice-and it’s a choice we have every day. With our spouse, our children, our neighbors, our boss, our co-workers, the person serving us at a restaurant. How have you used your tongue today? ©2005 by Kaylee Tucker. All rights reserved. Printed in the United States of America. Contents may not be reproduced in whole or in part in any form without written consent of Kaylee Tucker. This is a true story of the author’s life. In a desire to protect the privacy of individuals mentioned in the book, the author has changed her name as well as many of the names throughout the book. Unless otherwise indicated, all Scripture quotations are taken from the Holy Bible, New Living Translation, copyright © 1996. Used by permission of Tyndale House Publishers, Inc., Wheaton, Illinois 60189. All rights reserved. Scripture quotations marked “KJV” are taken from the King James Version of the Holy Bible. Scripture quotations marked “NIV” are taken from the HOLY BIBLE, NEW INTERNATIONAL VERSION®. NIV®. Copyright©1973, 1978, 1984 by International Bible Society. Used by permission of Zondervan. All rights reserved. Scripture quotations marked “NKJV” are taken from the New King James Version. Copyright © 1982 by Thomas Nelson, Inc. Used by permission. All rights reserved. Verses marked “TLB” are taken from The Living Bible © 1971. Used by permission of Tyndale House Publishers, Inc., Wheaton, Illinois, 60189. All rights reserved. separate us from the love of God that is in Christ Jesus our Lord” (Romans 8:37-39 NIV).